From Bethel to New Orleans to Ecuador and now law school, Melia Cerrato ’09 follows her passion for serving diverse communities. August 29, 2018 | 3:30 p.m.
Melia Cerrato '09 and her husband, Audie, while they were serving with the Peace Corps in Ecuador. “When I was in high school, I always felt like I wanted to help people. I didn’t have much of a career trajectory in mind, much to the chagrin of my parents,” says Melia (Guthland) Cerrato ’09. During her senior year at Bethel, she went on an Interim study abroad trip to Egypt and Jordan and discovered how much a conversation could be used to help people. The study abroad group had the opportunity to work with Jordan missionaries and witness how they interacted with Muslim people. “What I realized is that if we want to support and help others, we can’t force our ideals and beliefs on them,” Cerrato says. “We really need to understand where they’re coming from and what they’re asking for.” This perspective has influenced every aspect of her journey from Bethel to New Orleans with Teach for America to Ecuador with the Peace Corps, and now to Loyola University New Orleans College of Law. She begins this fall with a full-ride scholarship. Cerrato took the class “Male and Female in a Biblical Perspective” during fall semester of her senior year. The class team-taught by both male and female professors broadened her perspective of women and gender equality in the church, which she didn’t have the opportunity to explore throughout confirmation as a child. 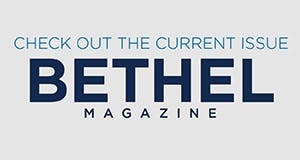 “I really liked how Bethel was open to letting students question those things and really find a group of people with the same beliefs,” Cerrato says. She was eager to examine the diversity between cultures and religious beliefs without compromising her own or forcing others to change. Maintaining this balance was crucial to her innate desire to help others as she saw the beginning of a career path unfold before her. This exposure to various cultures—and even students with majors that were different from her own in psychology—helped Cerrato realize that she could be a conduit for change in her community. After Bethel, Cerrato joined Teach for America and was placed in New Orleans, with an initial emphasis in special education. She met her husband, Audie, in New Orleans, and after they were married, she taught second and third graders who had been expelled. After working with Teach for America for two years, she taught kindergarten in New Orleans for another three years. Cerrato with the girls who completed the Girls Leading Our World weekend away camp. 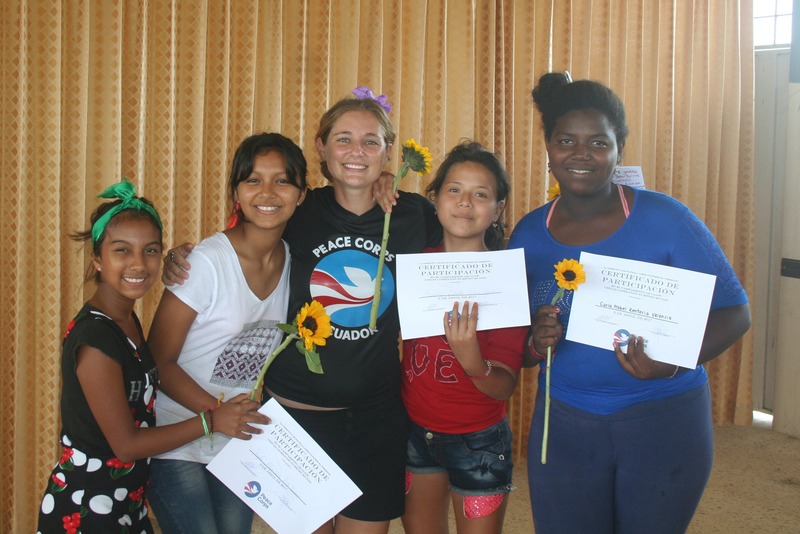 While she was a kindergarten teacher, Cerrato and her husband applied for positions with the Peace Corps. 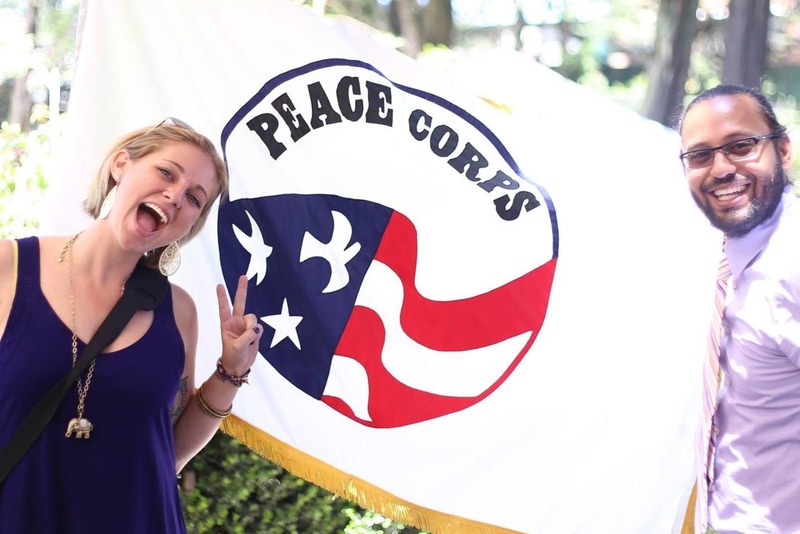 “One reason I wanted to do Peace Corps was to look at the grassroots level, the human level, get out of the education where I can only work in the classroom,” Cerrato says. She questioned whether her impact on the kids in her classroom was enough to make a definitive change in their lives. The Cerratos were stationed in Ecuador for two years as part of the youth and family development program. During these weekends, people from the local Red Cross visited to explain signs of abuse and the resources girls could use to find help. They were also encouraged to lead in their schools and among their friends. The group consisted of girls from the city, the neighboring community, and Cerrato’s own barrio girls. “It was amazing to see them all interact, and they all made friends. They don’t do overnight things in Ecuador. It was a big deal for them,” Cerrato recalls. Cerrato also set up a bank for her neighborhood women. Eighteen local women each deposited a dollar and fifty cents per week into a mutual savings account that they could then collectively loan out once the sum had grown significant enough. “For example, there was a woman who had a tienda—a small shop or store—in her house, that was just cleaning supplies, bread, eggs, stuff like that. She was able to grow her business and make money. She ended up getting two or three loans from us, each time bigger than the last, for her store and economic wellbeing,” she says. They liquidated the bank before Cerrato returned stateside, and each woman received her initial investments as well as interest that had accumulated through specific events. The lesson in saving money was tangibly fruitful for these women, an experience that will have an effect on future generations. Unable to forget the conversations she had with the political science majors on her Bethel Interim trip in Egypt and Jordan as well as her program manager for Peace Corps Ecuador, Cerrato realized she could help solve grass root problems by changing government policies. She had certainly encountered shortcomings in the United States’ education system through Teach for America, and she was inspired by what she witnessed during the female empowerment weekends she facilitated. Cerrato is eager to start law school with a full scholarship at Loyola University New Orleans this fall. Bethel offers several pre-professional programs, which include courses that students can take concurrently with their majors. This curriculum allows students to pursue their diverse interests but also sets students up for success in graduate school. Some of our pre-professional programs include Pre-Law, Pre-Dentistry, Pre-Medicine, and Pre-Pharmacy.